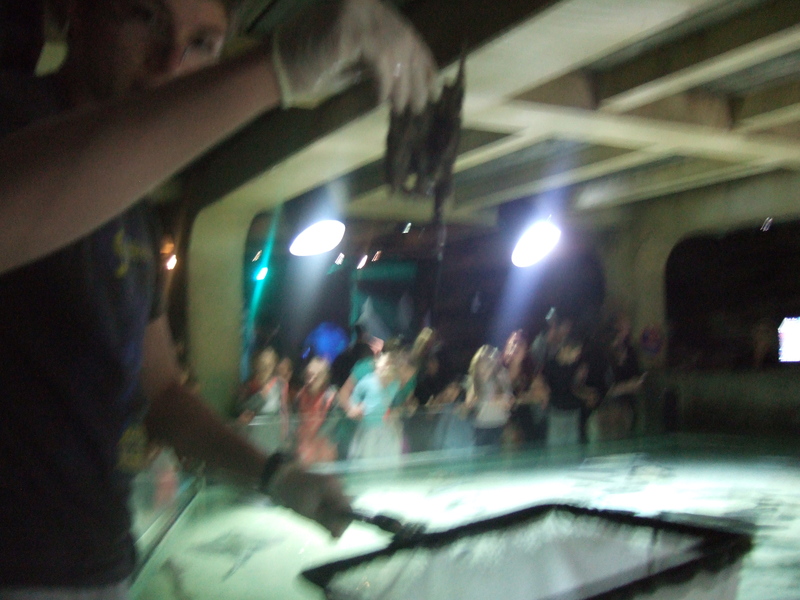 Of all my experiences at the London Aquarium on my Marine Biologist for a Day trip, the absolute best was when I helped recover and candle mermaid’s purses from the ray pool. Rays and Dogfish keep their young in little cocooned capsule-like eggs that people often call mermaid’s purses, due to their appearance as a little pouch. While not all ray eggs are shaped like this, some being rounder or corkscrew shaped, these are the iconic ray eggs, and they are the type made by the rays at London Aquarium. In the ray pool you can find Undulated and Thornback Rays, who are on a breeding program to help preserve both species, in particular the Undulated Ray. I was sent into the exhibit armed with nothing but a net and my eagle-vision, to spot and recover the eggs. I went around the perimeter, scooping up any within nets reach, and with the help of the public, I managed to spot 18 eggs in total, a tidy sum. The purses further into the middle of the pool, out of net reach, would be collected later that night using a pair of waders to reach in inner pool. 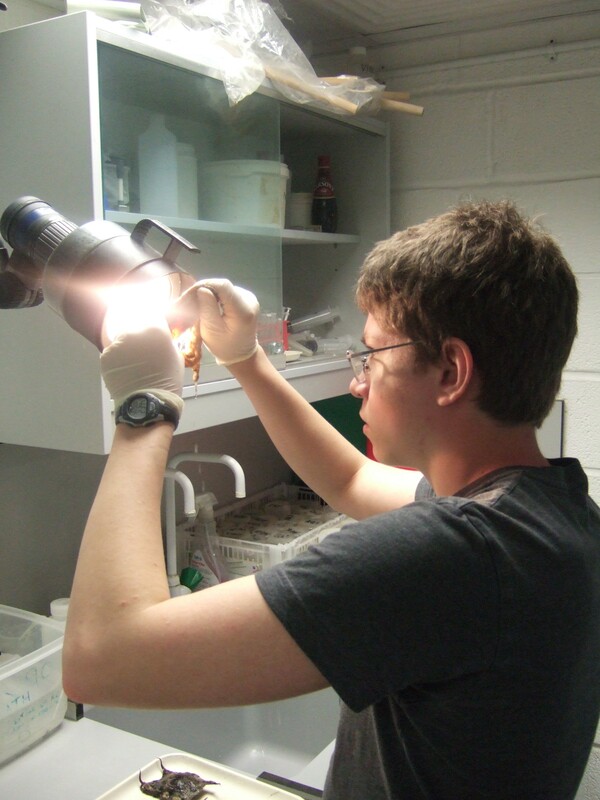 I brought my hard earned clutch of ray eggs back to the laboratory in London Aquarium, in order to identify and candle the eggs. The eggs of Thornback and Undulated Rays are very similar, both taking the purse like shape, but with the use of a chart, I was able to identify the different eggs. While the undulated eggs had smoother smaller sides with straight points on each corner, the thornbacks had more jagged edges with wavy points on the corners. All but one of the eggs were thornback, a testament to the necessity to help these Undulated Rays breed, before they begin to run thin in the wild. Even then, most ray eggs do not contain live animals, instead merely being empty cases filled with water and yolky sludge. 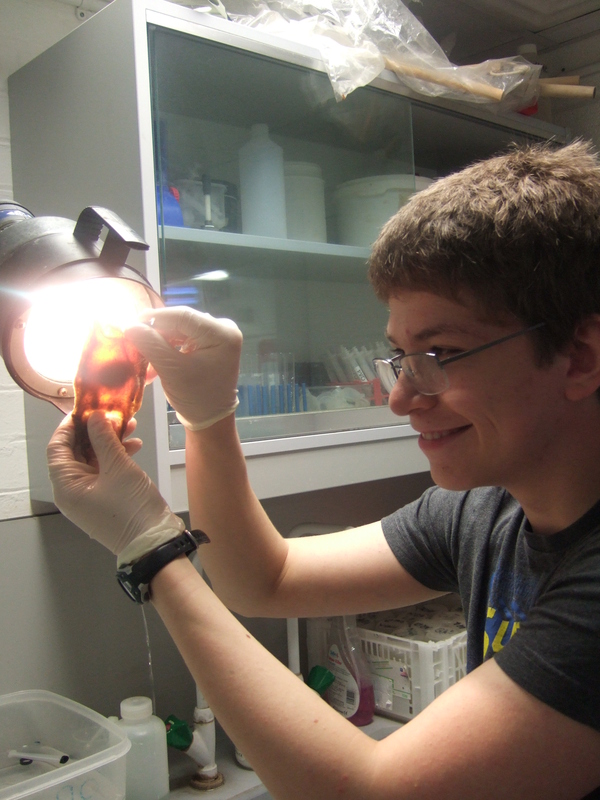 I held the eggs up to a light, which shone through the translucent casing and revealed the contents to me, in a technique called ‘candling’. Nothing. Nothing again. Very little but water in any of the eggs. It is very rare for the aquarium to find live eggs, and I was reassured that this was normal, rather than just exceedingly bad luck. However, as I approached the last few eggs, my luck became fantastic, as I candled an egg to reveal a tiny thornback living inside, only a few weeks into growth. It was the most wonderful feeling I’ve ever had, discovering new life inside the tiny egg, and by the tradition of the aquarium I was allowed to name them. Kenneth if they were a boy, or Kinsley for a girl. They were the first live ray to have been laid for 7 months, and all of the staff were very excited. I was very excited. We took Kenneth/Kinsley and laid them in the egg pool, with the other unhatched mermaid’s purses. I cannot truly describe how amazing it felt to find the baby ray in its egg; it was probably the most fantastic and proudest moment of my life so far. The egg will take 9 months to mature and hatch, and I will return again to the aquarium in order to see my baby ray amongst all of the others.